In addition to accepting individual undergraduate and graduate applications from students throughout China, over the past several years, Saint Joseph’s University’s China Programs Office has been successfully developing close academic relationships and exchanges with leading universities in China. One cannot ignore the size of the academic market in China, particularly at the graduate level. More importantly, however, is the growing desire on the part of a large number of extremely bright and talented Chinese students to obtain graduate degrees from U.S. universities. To make this experience even more rewarding, relevant, and practical for the students, our approach has been to partner with selective Chinese universities and institutions to offer degrees. 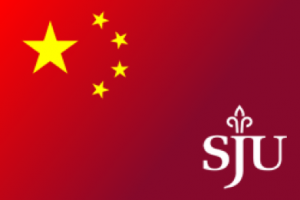 Chinese students come to SJU to study in various masters programs, including programs in computer science, biology, criminal justice, financial services, international marketing and MBA. Chinese universities also send their undergraduate students to SJU as visiting students for one or two semesters for the purpose of enhancing their international learning experience. Many of these students return to SJU for graduate studies. The China Programs Office also develops customized executive training programs designed for university administrators, educators and other specialized groups. 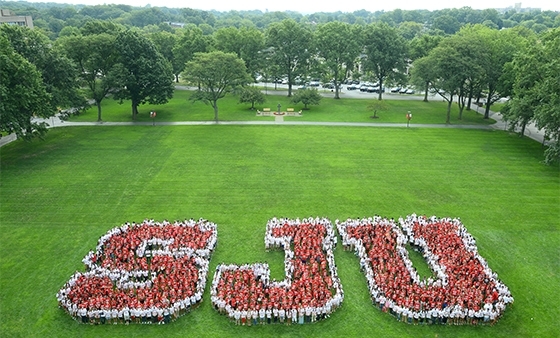 For the past two years, the Chinese population at SJU has been the largest foreign group at the University. We are very excited about the future expansion of our international alumni base. The Chinese students we are attracting to our undergraduate and graduate programs are some of the best and brightest in China. With their graduate degrees they are finding great career opportunities in China that offers tremendous growth for leadership and professional enhancement. As a result, we feel that we are successfully contributing to the positive aspects of educational globalization and personal enrichment on many levels, all of which fits perfectly with the missions of SJU and our Chinese partners.